Oh that pen and paper, it doesn’t get the love it used too. Even though it seems my entire life revolves around my keyboard, I am a huge fan of writing. I keep a written to-do list, a written calendar and I love sending handwritten notes. Disclosure: This post is sponsored by Pilot. All thoughts expressed are my own. When it comes to being fashionable it doesn’t have to end with your duds. Let a fabulously designed pen be part of your fashion forward style. 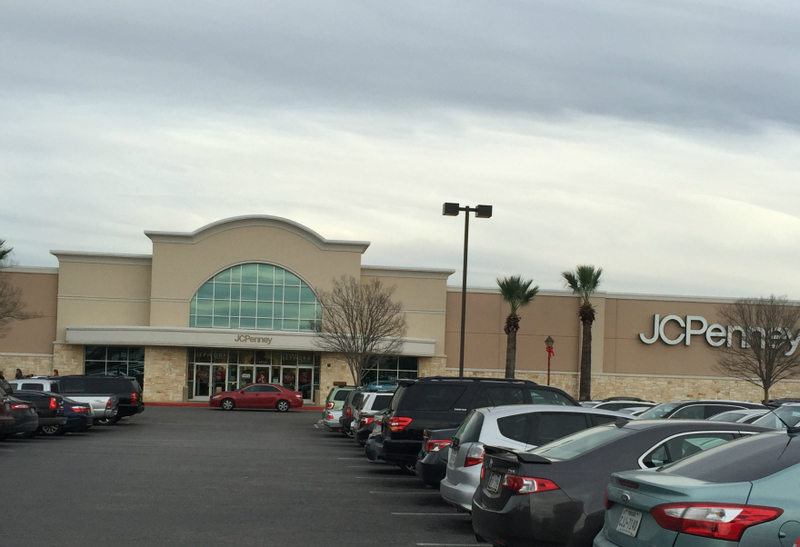 Pilot pens now has three new lines dedicated to fashion. 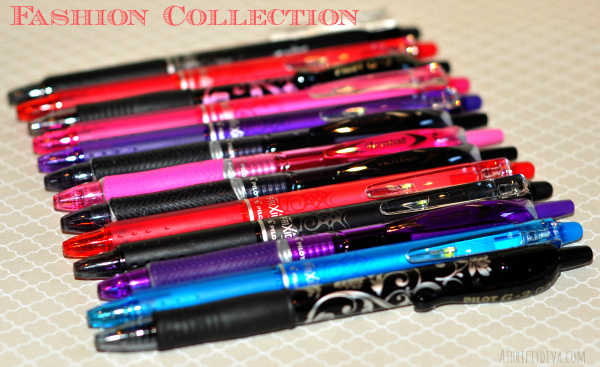 The Fashion Collection Pilot Pens,take pens to the next level. Acroball’s debut is nothing short of impressive with details like a Pantone spring palette-inspired colorblock grip layered on a glossy white barrel. Its unique and comfortably textured grip keeps you in style and control. What is Hybrid Ink? The rich vibrance of gel ink plus the quick-drying, water-resistance of ball point ink designed to glide across the page. Making the functional fabulous — America’s #1 selling gel ink pen the G2 by Pilot, now introduces a Fashion Collection boasting a striking barrel design available in a series of vibrant colors. Pilot is the #1 seller of gel ink pens in America and the newest member to the gel ink line, FriXion, writes incredibly smooth in expressive colors and erases completely with no mess! The new FriXion Clicker combines all these great qualities in a retractable version with an innovative clip click mechanism. I love these pens not only do they look pretty. I also love the grip, ease of a great ball point pen and the vibrant colors. 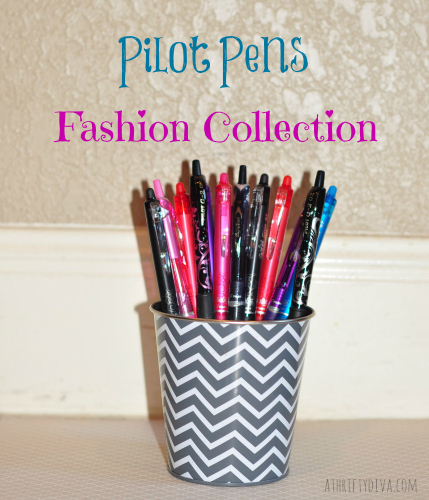 Add a little glam to your office with Fashion Collection Pilot Pens.